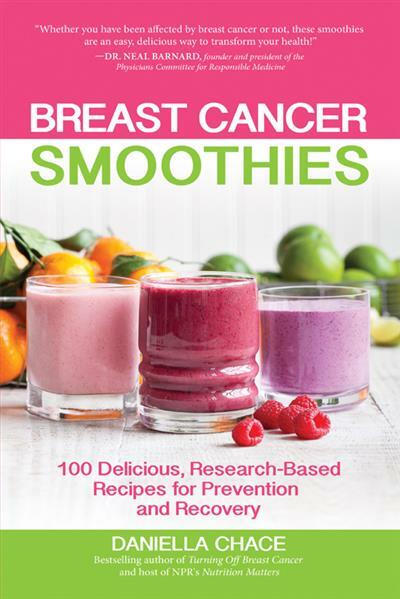 Breast Cancer Smoothies 100 Delicious, Research-Based Recipes for Prevention and Recovery | Free eBooks Download - EBOOKEE! The statistics are staggering. Breast cancer is the most common type of cancer among women-About 1 in 8 U.S. women (about 12%) will develop invasive breast cancer over the course of her lifetime. Second only to heart disease by a mere one percent, every ounce of prevention and every window of opportunity for healing is critical. In order to reduce the risk of developing this common disease, you need a targeted plan to protect yourself from common breast toxins and to strengthen your immune defenses. In her delightful new book, Daniella breaks down the complex topic of oncology nutrition and the specific dietary needs breast cancer creates, into simple recommendations for making delicious smoothies that support healing and a healthy lifestyle. What makes 100 Breast Cancer Smoothies unique? An extensive body of research, that provides many of our long-sought answers to the cause of breast cancer, has been translated into simple, healthy smoothie recipes! It's all about Daniella's nutrient-rich, whole-foods recipes created only from ingredients that provide a direct benefit to fighting breast cancer. Concentrated amounts of carotenoids, flavonoids, probiotics, protein and minerals, including bioactive compounds from herbs and citrus oils dramatically reduce the development and spread of breast cancer cells. Color photos styled by the award-winning photographer Olivia Brent charm the pages with luscious smoothies images. Each recipe includes tips about the food nutrients that effect breast cancer in direct ways, including reducing cancer cell development, growth and spread. With just a few minutes each day, you can dramatically change the course of your life by working to prevent and heal breast cancer through fresh, appealing drinks. No comments for "Breast Cancer Smoothies 100 Delicious, Research-Based Recipes for Prevention and Recovery".